INFINITI Financial Services is proud to reward those in pursuit of a brighter future. 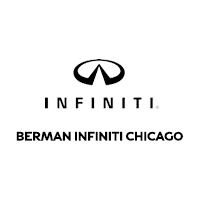 If you completed your degree in the last two years, or if you’re about to graduate, then you can take advantage of the Signature Graduate Financing Program at Berman INFINITI Chicago. With benefits like access to low APR financing terms, special leasing options on new INFINITI vehicles, and delayed first payments, INFINITI’s Signature Grad Program offers the best prices with none of the hassle and all without a prior credit history. All you need to apply is complete the form below. Contact us at 312-476-8000 or visit us at 640 North LaSalle Dr for an exclusive offer.